Community inclusion means people with all types of disabilities participating in all kinds of community events, activities, and pastimes with the support they need to be successful. While this goal may sound perfectly reasonable (after all, doesn't everyone deserve the opportunity to be part of the community they live in?) the reality is that it is very difficult to achieve. Sure, some individuals with special needs do well in the general community. But those individuals tend to be people with particular types of differences. And their inclusion tends to be limited to certain types of community programs. Some challenges to inclusion can be overcome with some simple tips and strategies. Other challenges, however, take much more than a quick fix. Here are some of the issues facing special needs children as they try to become valued, included members of their own larger communities. What Is Community (and Why Is It Different From School)? School programs are educational classes provided, free of charge, to all American children. Children ages 3 to 22 are, by law, provided with necessary supports and services in their public schools. A child who has a hard time learning in a typical class may receive accommodations of many kinds; some, such as 1:1 aides, may cost the district quite a bit of money. Parents are involved in crafting an individualized educational plan, which becomes a legal and binding agreement. If the district doesn't follow the agreement, parents can take the district to mediation, arbitration, or even court. Outside of school, laws requiring accommodation become much looser and far less individualized. Yes, the ADA does kick in, and yes, most public venues do provide wheelchair accessibility and braille lettering on bathroom doors. But beyond that, most active accommodation is a matter of choice, not requirement. Why Is Inclusion So Difficult? Money. Inclusion is pricey. For kids with physical challenges, inclusion may require specialized equipment and training for staff or volunteers. For kids with emotional, social, or intellectual challenges, inclusion may require both training and 1:1 support. None of that comes cheap, even if volunteers are involved at some level. Availability of Segregated Options. A special needs child may not understand the rules of baseball, so he hits the ball and then wanders off. It would require a lot of effort on everyone's part to make it possible for him to play the game correctly, so he can be included with his typical peers. Wouldn't it be better for him and all the other kids if he just joined the Challenger League where special needs kids are welcomed and provided for? Parent Preferences. 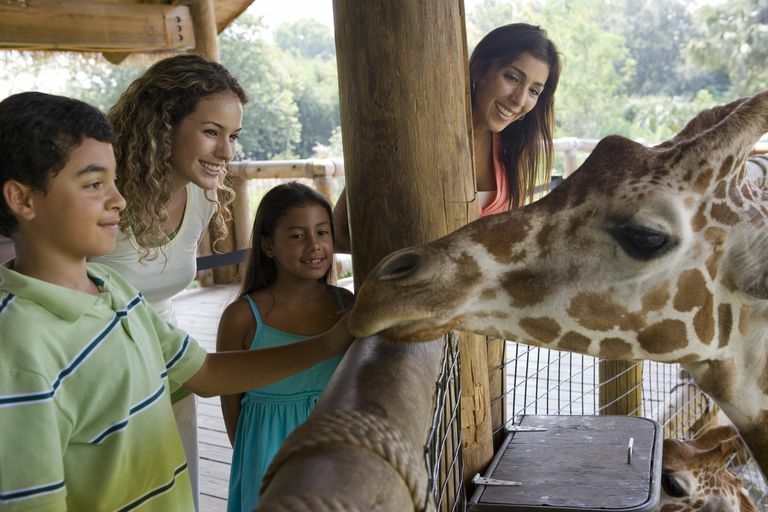 While it may seem that parents of special needs kids would prefer inclusion over segregated programs or events like Autism Day at the Zoo, that's not always the case. Many parents find it very stressful to bring their child with special needs to a typical event or program. What if their child acts out or has a tantrum? What if there's nowhere to change the diaper of an older child? For many parents, it's easier and pleasanter to attend special needs programs and events where they won't be judged, and where their child's needs will be provided for. The Needs and Anxieties of 'Everyone Else.' Is it fair for "everyone else" to have to, for example, play on a team with a teammate who can't kick or hit a ball as well or as far as the rest of the players? Is it OK for members of a religious congregation to have to sit through a service while a child rocks back and forth and makes noises? It's often difficult to balance the needs of a special needs child with the mission and needs of other community members. Is Your Child Ready for Inclusion? Inclusion isn't right for every child, in every setting, at every point in that child's development. As Elaine Hall of the Miracle Project (a theater-based program for children with autism and their typical peers) says, "If the special needs person isn’t ready for an environment, he doesn’t belong there." How do you know if your child is really ready to be included in any given setting? Here is a short checklist. Is your child interested in the program or event offered? You, as a parent, may think soccer is a great sport for your child, or you may simply want him to be involved in age-appropriate activities. But, as Ms. Hall says,"It’s not about the parent’s dream; it’s about the child’s dream." Can your child understand or participate in the activity at a meaningful level? For example, if your child is not able to grasp the content of a movie, he or she probably shouldn't be in the theater. Is your child capable of following verbal instructions or rules with or without supports you provide? If your child cannot listen to and follow instructions and you can't or are not willing to provide support to help your child do so, then your child is probably not ready for certain community experiences. Programs like swim lessons, scouting, and recreational sports all rely on kids' ability to understand and respond to instruction. Are your child's behaviors likely to disrupt the experience of others in the group? Some venues, such as playgrounds, are great equalizers. Kids can be loud or quiet, fast or slow, and everyone can go at their own pace. But loud, aggressive, or uncontrolled behavior can ruin others' experience of, say, a concert or a religious service. Does your child have the stamina and focus to participate in the program or activity? Many programs intended for children and families require extended periods of physical and intellectual focus and/or activity. That can be tough for many children with special needs who may need more breaks or shorter experiences. Your child is interested in participating in a community experience. He's willing to work with you and other community members to make inclusion work. She has the skills and abilities required for the specific activity you have in mind. Great—that's the first step. But while the venue or program that interests you will have to do some work to prepare for your child (see the next section) the onus is really on you, the parent, to prepare your child first. That's because, in the vast majority of cases, it is more important to you for your child to be included than it is for the organization to reach out to your child. It's easy for the organization to say no, and it's your job to make it even easier to say yes. You can start by including your child in a dedicated special needs program so that she can get acclimated to a particular place or activity. It's important to remember, however, that "special" baseball is nothing like real baseball, and "special" days at the zoo have different rules from ordinary days at the zoo. This means your child might need to unlearn rules in order to fit into a typical experience. So far, it's extraordinarily rare to find an organization that offers special programs, typical programs, and any kind of transition program to help kids move from one to the other. Fortunately, there are some simple steps you can take to prepare your child for inclusion in many different types of community experiences. Start by breaking down the activity or experience into small steps. FIRST, you arrive at the movie theater. NEXT, you buy tickets. NEXT, you buy concessions. NEXT, you find your particular auditorium. NEXT, you choose your seats. NEXT, you sit quietly, enjoy your treats, and watch the movie. If it's helpful for your child, create a visual chart showing the steps involved. Ideally, take photos of the actual venue you're going to, so your child will recognize it when she sees it. Use those photos to create a visual social story that explains what will happen and what your child's options are. For example, "We will go to the concession stand. I can choose popcorn or skittles for my snack." Consider practicing certain skills at home. For example, you might want to practice ordering a snack, giving a ticket to a ticket-taker, or even sitting quietly in seats while watching a movie. Arrange with the venue to visit ahead of time. You may need to do this several times, depending upon your child's needs. Using the movie theater as an example, you may need to limit your first visit to the lobby where sights and smells can be overwhelming and distracting. At your next visit, you may need to walk to an empty auditorium and choose a seat. Your third visit might involve sitting through the previews and then leaving. The process can take time, so be patient and supportive. In the long run, your child will have the skills he needs to enjoy a lifetime of first-run movies! Perhaps most importantly, always have a Plan B. What happens if the theater is out of skittles on the Big Day? What if someone sits in front of your child so she can't see? What if the real experience is too much for your child? Know what the options are, have a plan, and share it with your child and anyone else that's with you. If necessary, practice Plan B ahead of time. Obviously, this process is slow and time-consuming. It can also be frustrating, especially if your child doesn't immediately grasp or can't instantly handle the challenges. The key is to keep your eyes on the prize: an adult with the skills to engage in a full, rich life! Interview with Elaine Hall, Founder and Director of The Miracle Project. October, 2017.